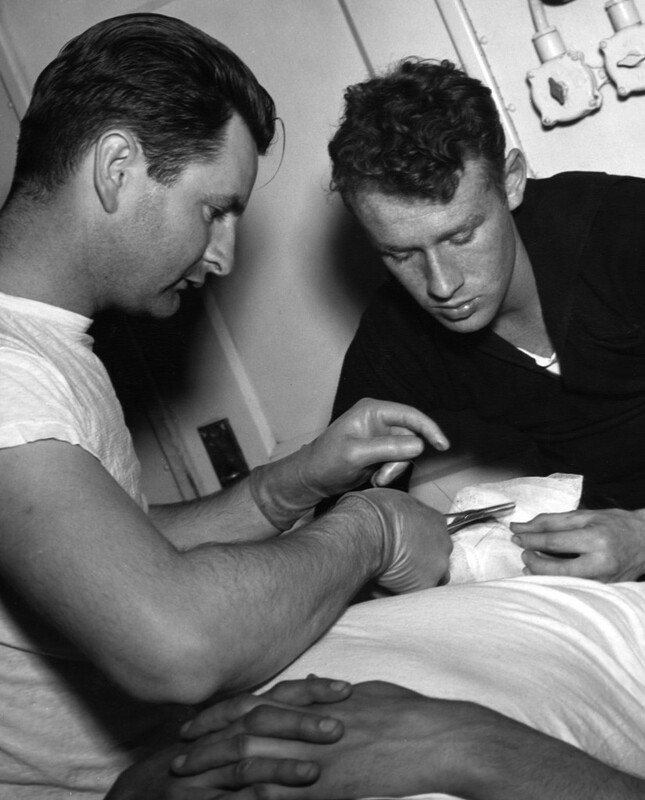 In this photograph, my grandfather John Baker (left) can be seen performing minor surgery alongside Ph. M. Schaefer (right) on an unknown subject. Both men were Pharmacists Mates aboard the USCG Cutter Duane during WWII. This photograph was taken by Dale Rooks sometime in 1945 according to notes in the Warbook. This entry was posted in USS Duane and tagged Ph. M. Baker, Ph. M. Schaefer. Bookmark the permalink.